Winning Powerball games is easy enough, you simply select seven standard numbers from 1 to 35, and one Powerball number from 1 to 20. Match them all up with the eight numbers drawn on a Thursday night and YOU WIN! But did you know that there’s more than one way to play Powerball games? To make the most of your Powerball experience, let’s go over the different game types below and give you an idea on how each is played. Each game type has their pros and cons, usually ones that have the higher odds of winning also cost more to enter. A regular Powerball game, as mentioned earlier, is about choosing seven numbers from 1 to 35, plus one Powerball number from 1 to 20. The winning numbers are randomly drawn from two machines. The first machine chooses the seven winning numbers, whilst the second selects the one winning Powerball number. If your eight numbers are chosen in the one game panel, you win! 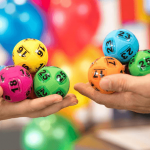 Like other lotteries, Powerball also has various prize divisions which lists the winning dividends payable (see all of the Powerball divisions and odds). For example, getting just two of the six winning numbers plus the Powerball will put you into the division 9 prize pool. 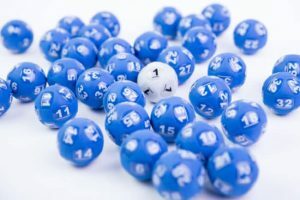 Correctly choosing all seven numbers plus the Powerball will put you into division 1, which is the jackpot prize pool. The number of other entries that win the same division determines how the prize pool is split. For example if 3 people win division 1 with a jackpot of $30 million, then prize is divided by three and each will receive $10 million. Each standard game entry gives you a chance to win one prize. A marked entry allows you to choose the numbers you want to play, you can choose randomly or pick numbers that are meaningful to you. If you are filling out a coupon in-store you can play up to 18 games, whereas if you are creating an online entry you can fill out up to 50 games. QuickPicks are the easiest and quickest way to play Powerball games where the number of games played is fixed and the numbers for each game are randomly selected. This way you don’t have to choose your own numbers, which can be difficult to do as sometimes people can have emotional attachments to certain numbers (such as birthdays or anniversaries) and find it difficult to narrow them down. This is a type of game where your entry holds all 20 Powerball numbers, so you are guaranteed the Powerball number. 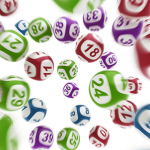 You still need to correctly select all of the seven regular numbers, but your chances of winning are greatly enhanced. A regular entry allows you to choose seven regular numbers. A systems entry lets you select even more. For example, in system 8, you choose eight regular numbers. That’s seven regular numbers plus an additional number. System entries can go as high as 20 (seven regular + 13). If any of the seven winning numbers are drawn within your 20 numbers, you win division 2 as a minimum. All you need to do then is get the correct Powerball number to secure the jackpot. You can combine a Powerball System entry with a PowerHit. This is called a PowerHit System entry, which gives you more chances of winning the main numbers plus the guaranteed Powerball number. Choosing to play a Pick entry guarantees you either one or two winning numbers from the main barrel draw of 35. These games give you the guaranteed Powerball with the PowerHit plus one or two of the winning numbers. This game type of game refers to group play. You purchase one or several tickets, and share its costs and prizes among the members of a group. Since you buy more tickets and play in more games, your chances of winning increases. If your syndicate wins, your total prize would be divided equally amongst the group members. For instance, let’s say each member in your dozen strong syndicate purchased $15 worth of tickets. 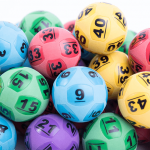 If one of the tickets wins the jackpot worth $15 million, the winnings would be split equally, with each syndicate member receiving $1.25 million. This makes syndicates are a great way to increase your chances of winning without paying more for your own tickets. As a word of caution, always make sure every member of the syndicate has proof of their entries into the syndicate, the numbers/games chosen and what everyone has contributed. Because you may be dealing with a large sum of money it is always best to make sure there are no loose ends and that everyone is protected. To buy your entry tickets online for the next Powerball game draw click here.